Debbie Gradias has been helping people realize their real estate dreams for more than 11 years. She was born and raised in California’s Inland Empire and today possesses advanced knowledge of its desirable neighborhoods, great schools and best amenities. Her specialties include San Bernardino County, Riverside County and the surrounding areas. Whether she’s working with first time home buyers or savvy investors, every client is important! From showing to closing, Debbie’s goal is always to provide the best experience possible by truly tuning in to the needs of her clients, keeping them informed of the process and acting with honesty and integrity through every step of a transaction. Because buying and selling property can be confusing and sometimes stressful, Debbie makes herself available to answer questions and act as a guide. And when it comes to negotiation, Debbie always acts with her clients’ best interest in mind to close the deal in a way that’s beneficial to all parties involved. 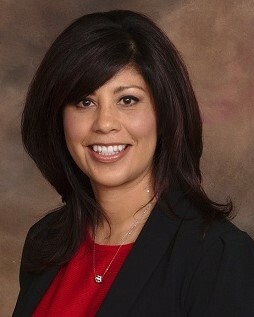 Debbie Gradias has earned a stellar reputation in her industry, as well as various real estate awards for her dedication to customer satisfaction. To better serve military personnel with specialized relocation needs, she completed her training as a Certified Preferred Agent with military-based lenders like Veterans United, Navy Federal and all VA loans. She is also a Preferred REALTOR with Credit Union Realty Services through the Home Advantage Program, as well as various credit union-based entities. And she has helped many families make smooth transitions with their corporate relocations. When she’s not working, Debbie enjoys spending time with her firefighter husband of 22 years and her family of 5, which includes her two dogs Khloe and Apple. She serves her community on the board of directors for the Girl Scouts of San Gorgonio Council. Skiing in the mountains and taking in the sun and sea at the beach are two of her favorite pastimes. Grateful to be working in an industry she loves, Debbie Gradias looks forward to meeting new people and helping them achieve their real estate goals no matter what they may be. So, whether you’re looking to buy or sell property, Debbie Gradias has the expertise, drive, community- specific knowledge and service commitment to get the job done for you.